This is the stuff that tech heads have been dreaming of for ages: a screen that bends and is functional. Well, there are many things that tech enthusiasts have been dreaming of, but screens that are flexible is definitely at the top of the list. Can you imagine all the possible applications of such a screen? In any case, this is now reality. Not just the one of those things that we see in movies that make us go, “WANT”! Nokia has just made a rather strong statement at the Nokia World event in London, where the company showed off a working prototype of the Nokia Kinetic Device. Take note: it is a working prototype! The Nokia Kinetic Device is definitely not the first device of its kind that has been conceptualized. We have been hearing and reading about all sorts of concepts wherein the screen is wearable and so on. However, Nokia has really impressed the market with being to make something that actually works. 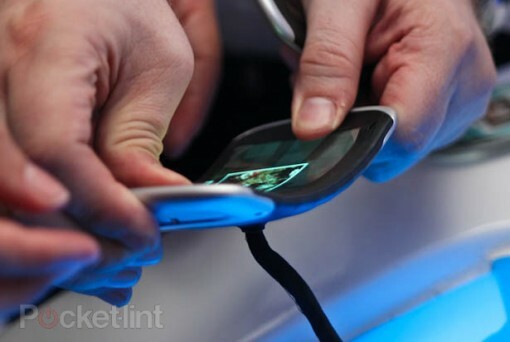 In order to use the Nokia Kinetic Device, you take hold of the gadget – using both hands – from the two ends. By twisting and bending, you can control what is displayed on the screen. Now I am not sure about how good of a user experience that will be, but let the demo video show you how it goes. I don’t know about you, but I could not help but be amazed as the guy kept bending the device! Who was it that said that Nokia was dying or dead? With this prototype, the phone maker just might bounce back big time! While it is true that the Nokia Kinetic Device will not be available in the market any time soon (definitely not for Christmas 2011), I would not be surprised if we see it next year. Still, don’t get too worked up about it as Nokia seems to be totally tightlipped about the technology behind the product (to be expected) and the release date as well.